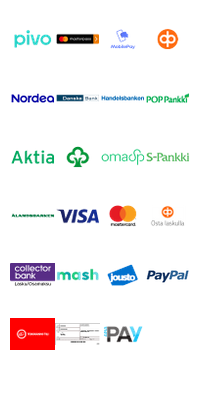 musiikkidivari.fi is an online store for 2nd hand CD's and DVD's. We are updating our stock daily. All the records for sale are from our own stock and they are originals, graded and cleaned. All the conditions are graded under a bright light and all the CD and DVD records play perfectly regardless of the grading. Vinyl records play according to given grade. G = Has a lot of signs of use and has not been handled with much care at all. Jewel cases are not graded. All the cases are intact (unless otherwise mentioned), but they may have some scratches, shelfwear, glue stains or other signs of use. Digipaks or other special cases are graded as sleeves. 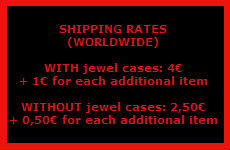 Priority shipping: 4€ + 1€ for each additional CD/DVD/7"
At The moment, no international orders for LPs or heavy DVD boxes. One international order is limited to 50 CD/DVD/7". If you would like to order more, you can make another order. Orders are shipped as soon as possible. Normally the very next working day after the payment has arrived.